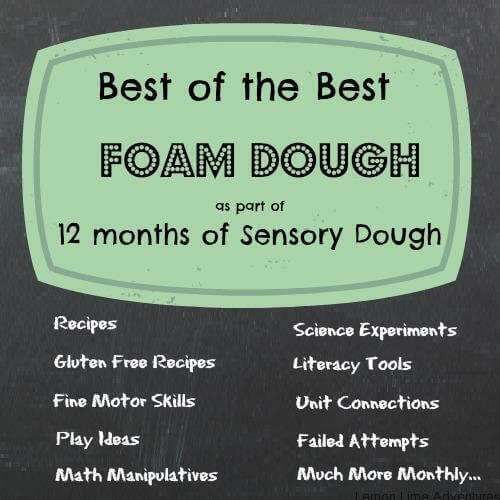 Welcome to our first edition of 12 Months of Sensory Dough where 12 KBN Bloggers will bring you their special spin on a popular sensory dough. 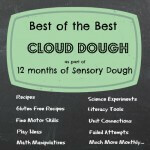 It is my hope that here you will have a one-stop resource for all things Sensory dough! This month we are featuring Foam Dough. I am excited to share our foam dough experiment. 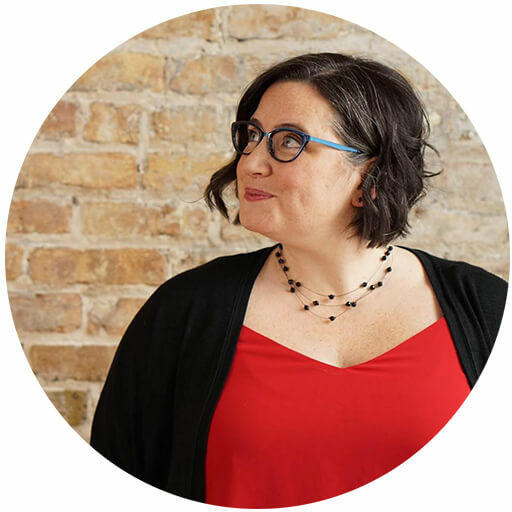 I started this series because I have always loved sensory doughs and homemade versions, but I am not “Suzy Homemaker” and something usually goes wrong. That never stops me from pinning enticing pictures on Pinterest, and attempting new recipes. This is how my spin developed. I love explorations, investigations, and trial and error. I love science. Sometimes it turns out and sometimes it doesn’t. The fun is in exploring. That is why each month you will find out how we made sensory dough. 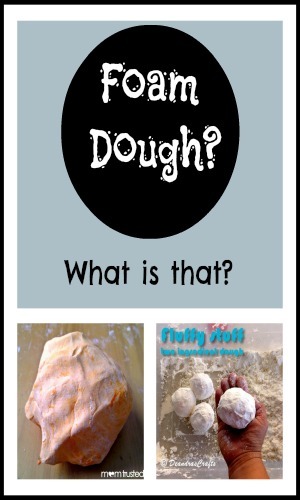 I will define each dough, link to recipes we referenced, show you what it SHOULD look like, describe our experiment and show you want it DID look like. You can help us decide if it was a fail or success! Shaving Cream and Corn Starch. What Should Foam Dough Look Like? What Experiment Did We Do With Foam Dough? During our day of Shaving Cream Fun, I told my boys we were going to make dough with shaving cream and corn starch, but they didn’t believe me. Immediately they asked me how to make it. I told them I didn’t know, but they could help me. I gave them measuring cups, a bowl, the ingredients and some paper/pencil to document their findings. Legoman was all over this. Bones just watched (he does not like to be wrong so he waited to see if his brother could come up with the perfect solution. It was determined that it was too dry. So back to the drawing board. 1 Tablespoon of Cornstarch after everything is mixed together. 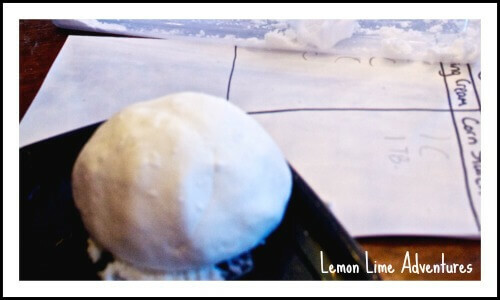 Mix the shaving cream and cornstarch together until everything is mixed well and you can form a ball. If it is too wet, add 1 extra TB of cornstarch. I think foam dough is supposed to be crumbly and it was actually the right consistency, but I wanted to give him the freedom to explore and experiment. I did not want to take over. I wanted to just observe and facilitate. So more shaving cream was added. And more was added. And More was added. At this point, Legoman remembered making Ooblek and started to talk about how he was turning his “solid” foam dough into a liquid. Now the goal had changed… He was no longer trying to make Foam Dough. Now he wanted Oobleck. If you are unfamiliar with Oobleck, it is a substance that is both liquid and solid depending on the amount of pressure you put on it. It is usually made with corn starch and water, but apparently can be made with shaving cream. 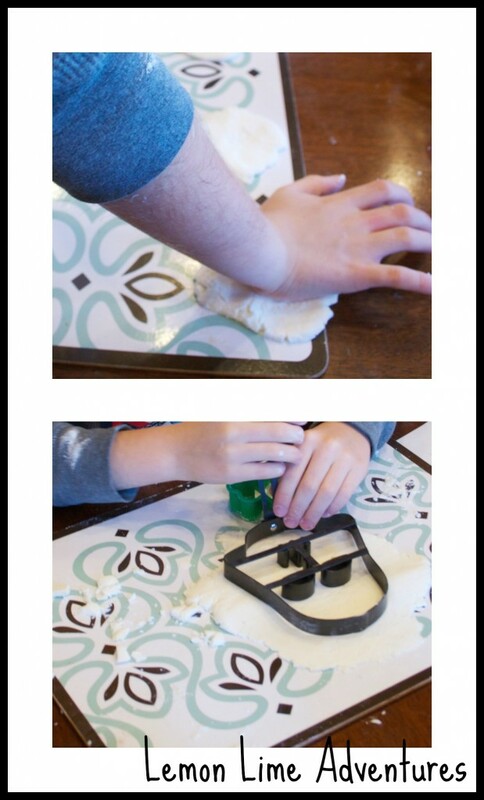 Were We Successful At Making Foam Dough? He played with this mixture for over an hour. He discussed the textures. He estimated, measured and recorded the amounts needed. He used reasoning and problem solving to adjust his recipe. He predicted the reasons it changed states of matter. 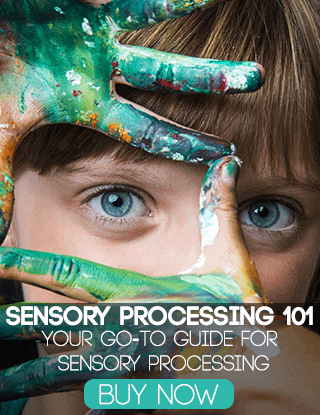 He received tactile sensory input. He felt empowered by leading his own investigations. If I alter my idea of successful to be geared toward the process; then this was a huge success. If I judge this experiment solely on the final product, then I would call it a fail. Would you call this recipe a success or a fail? Do you have a favorite Foam Dough recipe that you consider a success or do you have a fail you want to share? We want to see! 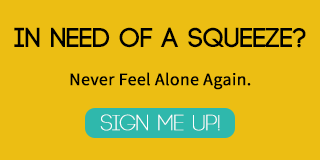 Link up your recipes or post pictures to Facebook, Instagram, Twitter or Google+. Tag your pictures with #ilovesensorydough. Success! I love that you gave them the freedom to direct the process. Thank you! It was fun. I try to let them direct as much learning as possible. I love how you invited your boys to make up their own recipe! I’d say it was definitely a success! I agree. I would call it a success too. Although I am a little envious (“dough envy”) of your beautiful dough. Thank you for hosting with me! I love that you turned this into a science experiment! Excellent post! I love that you were so exact about making it! And that you let your son go crazy with the shaving cream 🙂 Thanks so much for hosting!! Thank you for being a part of this project. We are really having a lot of fun with it. They had fun, to me that’s a success 🙂 Funny how different our dough was from yours, lol. I agree. I would call it a success as well. However, I have “dough envy” looking at some of the others posted today. What a great collection of Foam Dough. Thank you for your encouragement. I believe that children are able to explore their world if we just facilitate their learning. I am really enjoying this series and am so happy everyone else is too. Love how you stood back and let them experiment! Thank you. It is something I try very hard to do. But sometimes I can’t help and I jump in. I really wanted to jump in and “fix” the dough. But I didn’t! OMG wow, this is just one of those things that excites me. 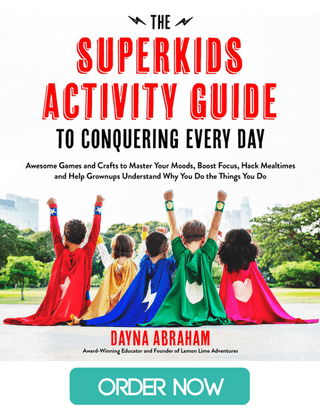 I am constantly trying to come up with ideas to keep my son interested and that aren’t too messy, this is one of them and I have the ingredients, yay! Thanks a heap for linking up with Mummy Mondays. ! Thank you. 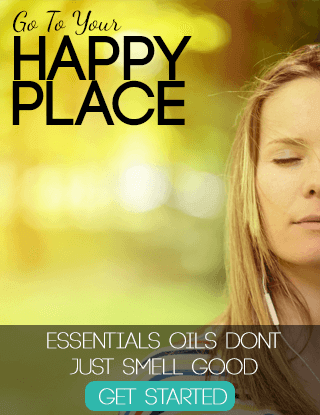 I hope you can join in and link up each month. Next month is Cloud dough. My boys are getting really excited. That is fantastic! I hope you link up! Even though we should be doing next months dough, I want to try everyone elses now. They are so fantastic! Would you believe I’ve never made this before! I have to try it. So easy! Awesome! I can’t wait to see how it turns out! 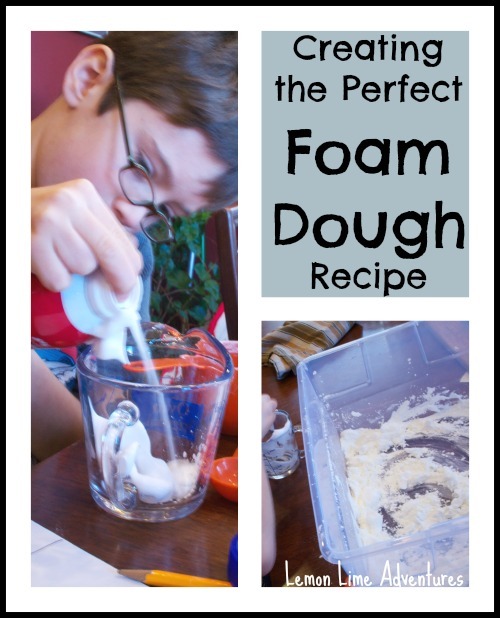 I have never tried foam dough, but it sounds like fun!